Frogmind’s Badland Brawl has been out for a couple of weeks for iOS devices, and it takes you to the “award-winning” world of Badland, where you can explore the mysterious universe and its residents in this real-time multiplayer game. Like Angry Birds was way back in the day, this is a physics-based game, where you need to launch characters on a sling and make sure you’ve used the angle and the right amount of power to pull it all off. The difference here, however, is the social element that Frogmind keeps mentioning in the game description. You can join alliances with your fellow players, make your way through dozens of lands, and collect different characters, all while making sure you’ve got the right tactics and the right strategy. Although “quirky” is one way we can mostly describe this game, it is a different kind of multiplayer gaming experience at the end of the day. And that means a load of tips and tricks that tackle every facet of the game, as the depth on this title is quite underrated and impressive. But we’re going to start things out with nine tips and tricks that are best-suited for the first-time player. 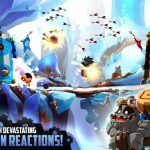 Join us as we bring to you our first Badland Brawl strategy guide, which is designed for newbies checking out and downloading the game for the first time in a while. In Badland Brawl, the quirky things you launch from that slingshot-like contraption in your tower are called Clones, and your job is to launch them the right way, keeping physics in mind, as well as the overall goal of beating your opponent in a best-of-five series over two minutes, where you need to destroy a floor in the enemy tower to score a point. Each Clone performs differently and serves a different purpose in the game, and in order to know which Clone you should launch depending on the situation, your best bet is to tap on the My Party Tab, where you will view all the Clones currently in your party or in reserve. Tap on each individual Clone, and you’ll see what they do, how much damage they inflict, and how far you can launch them with your slingshot. This is very important, so that you don’t take part in Brawls without doing your homework! As we mentioned in the tip above, all you have is two minutes to beat your opponent to be the first to score three points. Especially if you’re up against a player who has more Trophies than you do, it’s important to act quickly, and that makes the first tip even more essential as far as this game is concerned — if you know what each Clone can and cannot do, you’ll be able to launch them quickly and get good results. But one way NOT to get good results is to rush your moves too much. It’s common for newer players to get panicked and just launch any Clone that’s ready to be deployed, but you should spend some time, even if it’s a couple seconds, to give your next move some thought and aim the sling properly. We’ll be talking more about that later on in the guide, so feel free to keep reading! The game’s description mentions it quite a lot, and the tutorial will tell you about the most basic example. But the battle mechanics in Badland Brawl are very combo-intensive, and that means creating chain reactions with multiple Clones. The tutorial says you can follow up a Plain Bomb with a Blast Rocket, but doesn’t really explain how you should string those two moves together. With that said, you can create a chain reaction here by launching the bomb first, and trying to make sure it lands with no enemy Clones in the way to push it back to your tower. Aim the Blast Rocket in such a way that it lands on the bomb, and launches it straight to the enemy tower to blow it up. For other basic examples, you can launch a Big Smith and have him land right before your Plain Bomb, so that he can swing his hammer and bounce it toward the enemy tower. Or, if an enemy Clone tries to push your Bomb Drone back to your tower, you can send it right back to where it should be headed by launching a Rogue toward it. The possibilities are myriad, but the combos we mentioned are the ones that you will likely be using the most often in the early goings of the game. On the right side of your screen under the Brawl tab, you’ll see several small icons, including the one in the middle that’s shaped like a medal. These are your achievements, which you can complete by playing the game like you normally would, though when we say “normally,” we mean doing some things that are technically optional, but still a fundamental part of the game’s mechanics. (More on that in a bit!) Completing achievements will earn you some gems (the game’s premium currency) and XP, and while it may not be much at first, these rewards will ultimately add up as you continue playing Badland Brawl. It helps to check this section regularly, so you know what you should be working on in particular so that the achievement’s requirements are fulfilled. 5. What Can You Buy With Your Currency? Gold is Badland Brawl’s common currency, and you will normally earn more of it simply by brawling as often as possible and winning those brawls/opening the prize eggs You can use your gold to buy new Clones to add to the ones you already have (not necessarily unlocking new Clones in particular), or to upgrade the existing Clones that you have. Basically, that’s all there is to it when it comes to this particular currency. Gems, on the other hand, are the game’s premium currency, as we mentioned above. You can win Gems by opening eggs and completing achievements, mostly. You can use your Gems to buy gold packages, or to purchase new eggs at the in-game shop, and as you’ll notice, you can also pay gems to speed up the time it takes to unlock an egg. As you win an egg for each Brawl you win, and since we’re not big fans of using premium currency to get more of the common stuff in a pinch, you might not need to buy eggs at the shop. 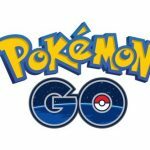 That leaves speeding up the egg-hatching process, and this is something you should ideally consider if you’ve only got a limited amount of time remaining before an egg is opened — why not speed things up with a few Gems? Just don’t spend them during the earliest stages of the egg-hatching process, as that’s almost sure to cost you a fortune. We mentioned in the tip about achievements that you can complete them by playing the game like you normally would, albeit while doing some things that are optional, but still essential to the game’s genre and mechanics. This is one of those things — joining a tribe, which is Badland Brawl’s version of guilds or alliances. A lot of the early achievements, as we’ve noticed, revolve around tribes, such as joining or forming a tribe, donating a certain number of Clones to your fellow tribe members, or conversely, receiving a certain number of Clones after you’ve asked for them; while winning brawls can get you some new Clones, with the option to buy at the shop also available, it’s arguably better if you can do this for free, simply by asking your tribe if there’s anyone who has such units available to donate to you. Make sure you’re paying the favor back, and donating whenever you can! Another key feature of tribes is the option to take part in a “Friendly Brawl” with a fellow tribe member. This too is included in the achievements, so don’t be shy, and don’t be a stranger — challenge one of the people in your tribe, and who knows — you just might end up making some new online friends while playing the game! As you win more brawls, you’ll get more Clones, and you will reach the point where you can upgrade them to make them even deadlier when brawling it out. It is imperative that you upgrade those Clones, as that’s going to improve their stats and allow them to do more/withstand more damage while you’re out there brawling! You always want to be fielding the best possible lineup of Clones, and this is the best way to make sure your roster is fighting to their full potential. 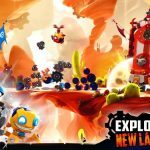 We have to admit that Badland Brawl is quite an engaging game, and you may find yourself brawling too much for your own good. By this, we mean fighting on even if all the slots you have for egg hatching are already filled up! You don’t want to waste the chance of winning a rare egg after beating an opponent, so with this in mind, we suggest that you take things easy and hold off on the brawling until you’ve got some vacancies in the egg-hatching area. The eggs in the game come in different colors, with each color corresponding to their rarity; rarer eggs will allow you to earn a ton of gold, as well as a better chance of winning rarer Clones that you could send off for a brawl. You don’t want to miss out on these rewards, so take it easy with the brawls, and if you really need to pay some premium currency, you can do so to speed things up in this game, just as long as it won’t cost you a fortune! While you can hatch eggs won during brawls on the left side of your screen, there are a couple of egg types on the right side that you’ll also want to open in order to get more goodies. The Gear Egg becomes available each time you’re able to collect 10 Gears during brawls for taking out floors from the enemy tower. We’ve noticed that this egg is comparatively stacked, with a bevy of rewards inside, as compared to the common eggs (Gold, Silver) hatched on the left side. You’ve also got the Ground Egg, which treats you to some rewards, mostly common, but capable of adding up as you keep moving along in the game. Ground Eggs can be hatched every four hours, so turn on the notifications on your phone if you want to be the first to know about the periodical freebies! Don’t make the mistake of testing new strategies or new Clones out during an actual brawl! Badland Brawl has a practice feature in the My Party tab, and this allows you to take on AI opponents (the same weak AI opponents you faced in the tutorial) without the high stakes that come with regular brawls against real players. In here, you don’t need to worry about getting some of your trophies deducted after a loss to a human opponent — you’re free to experiment to your liking, may it be trying out some combos you had in mind, or changing the order in which your Clones are launched. Although the word “BadTube” might not sound like the most appetizing of prospects, it actually represents some of the better gameplay videos, which you can also watch if you’re trying to figure things out. This should be everything you need while coming up with a fantastic tactical strategy.